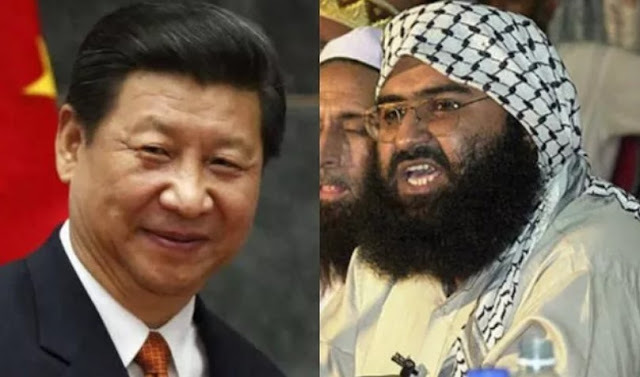 BEIJING – China signalled on Monday it would again block a US-backed resolution to sanction Jaish-e-Mohammed (JeM) chief Masood Azhar, saying there are “disagreements” among UN Security Council members on the move to declare him an international terrorist. The foreign ministry cited lack of “solid proof” against Azhar, accused by India of masterminding the terror attack on Pathankot airbase last year, as the reason for its stance. It also said it backs Pakistan’s counter-terrorism efforts. The ministry further said the Security Council is yet to reach consensus on the issue and more time is required to discuss the move to designate the head of the Jaish-e-Mohammed (JeM) as an international terrorist, which will come up at the UN later this week. China’s reluctance to proscribe Azhar comes weeks after Brics (Brazil, Russian, Iniad, China and South Africa) member countries – rather unexpectedly – named JeM and Lashkar-e-Taiba among terror groups causing violence and security concerns, bracketing them with the Islamic State. Explaining the reason behind China’s decision, foreign ministry spokesperson Hua Chunying told a regular news briefing: “As for the listing application by the relevant country, there are disagreements. China put the technical hold so as to allow for more time to deliberate on this matter. To our regret, the committee so far has yet to reach consensus. The actions taken so far by China were meant to safeguard the authority and effectiveness of the 1267 committee. “It is in accordance with the resolution and rules of procedure of the committee. It shows our responsibility,” she said. China had repeatedly imposed a “technical hold” on India’s application for banning Azhar, who has been accused of masterminding last year’s attack on an Indian Air Force base. In January, the United States filed a fresh application, backed by Britain and France after India’s filing on Azhar’s listing had lapsed last year. 0 Response to "China to again block UN move to declare Masood Azhar as international terrorist"